One of the women in the Oseberg ship was found with a little leather pouch full of cannabis. Scientists ask themselves: How would she use them? The Oseberg burial mound dating back to 834 AD is the richest Viking burial site ever found. 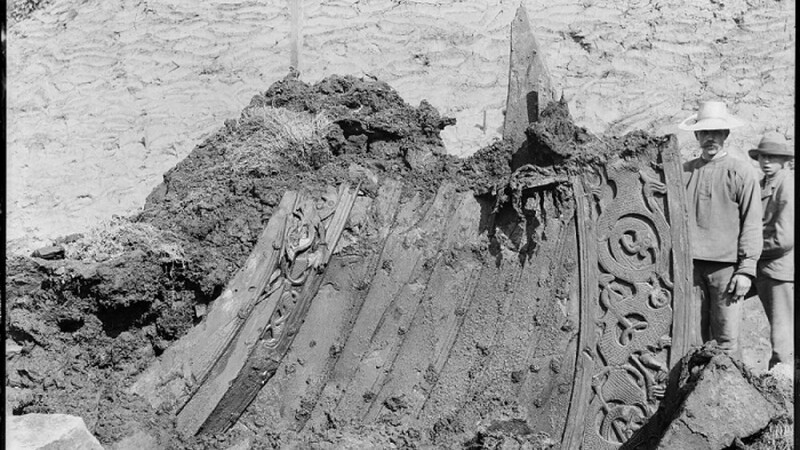 It was excavated in 1904 and contained a Viking ship with two women, an elderly aged between 70 and 80 years old, and a younger about 50 years old. In addition to hundreds of other objects, they had brought with them four horse sleighs, a richly decorated chariot, seven beds and several woven tapestries. There were also found animal bones from fourteen or fifteen horses, a cat, a Eurasian woodcock, a red-breasted merganser, a bull, a cow and four dogs. 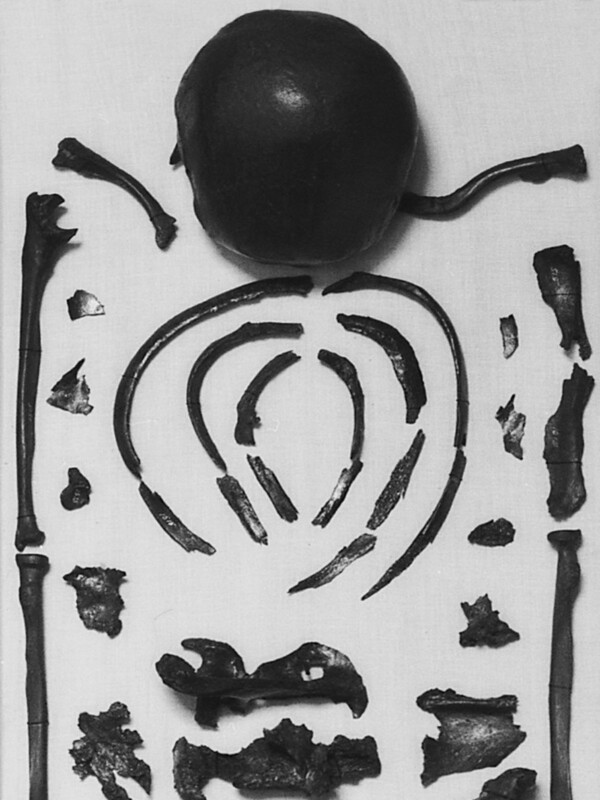 The objects were remarkably well preserved considering how long they have been buried. – The objects are so well preserved because of the dense peat and clay in which they were buried. This should not be possible, Ellen Marie Næss, associate Professor at the Museum of Cultural History told Norwegian media. She also told that during the excavation they found a bucket of apples that still were red, including recognizable blueberries and cress. – In addition, they found one raised bread dough that was ready to be cooked immediately when the two women reached afterlife, Næss told. The most fascinating is still the two female skeletons. Who were they? – They must have been incredibly influential in their community being given such a grave. Ordinary people were not buried in an awesome ship with lots of animals and beautiful objects. So these are women who may have been political and religious leaders, who have had much power and important positions. It is however uncertain which of the two women who had the most power. One woman looks like she was a little plumper than the other. – Yes, she has been eating well and she also was very old. 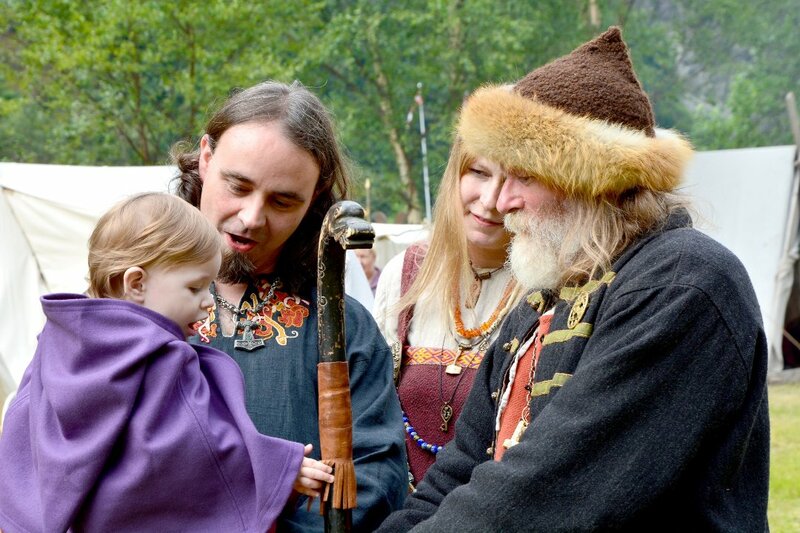 She became nearly 80 years old and that is a high age for a Viking woman. The youngest was a little more than 50 years old, so there are two pretty adult ladies, Næss explained. Their skeletons reveal that the two woman have lived for a while and that the oldest did have various health problems, and that cancer most likely caused her death. – She had lots of pain due to illness and the cannabis found in her pouch must have eased her pains. At the same time, if she was a religious leader (Editor’s Note: Old Norse “Völva”) she needed to get in touch with the gods. and cannabis would help her get in contact. That’s what I think. It is a fact that the Vikings were well aware of which plants that could provide intoxication. – They had great knowledge of what the plants could be used for. Some would make them intoxicated while others would cure diseases and alleviating pain. There is also a final explanation of the cannabis found in the Oseberg Viking ship. – In the Viking Age people used cannabis to make clothes and rope, so it may have been a symbol of an important plant, Næss told. Næss is absolutely convinced that there are several Viking ship burial mounds throughout Norway that are still not found. – The Oseberg ship is so special that I dare not hope that we will ever find anything like that again, but I have no doubt that there are several Viking ships buried. The question is whether it is right to excavate them. One thing is the financial aspect, but we also have to think in the longer term: We want to save some of them for our children’s children, Næss concluded. The medicinal use of cannabis goes back thousands of years to China. It likely was a first crop for it’s nutritionally complete seeds and use as woven mats. Hempology101. Fascinating stuff. I also didn’t know the two women were as old as that. That really is very long-lived for that time, isn’t it? Especially for women who so often died in childbirth. I wonder if it is possible to find out from the remains if the women had given birth or not? Could be that as possible religious leaders they were celibate or unmarried? Interesting thoughts. Article forgot to mention that one was a queen and the older was possibly her nanny that was long lived. She went with her queen to the afterlife. cannabis IS an Herb and a Flower….it is NOT a ‘drug’!….even though there are ‘recreational’ smokers….the medicinal properties have helped ‘MAN’ along since ‘man’s’ humble BEGINNINGS! I see, so she smoked cannabis, & had apples with her for her munchies!